At Vice Roy Turf Info, we can offer you more than just advice regarding how to properly care for your lawn, or what turf to choose. 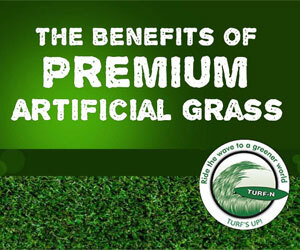 For more info on grass lawn and turf use the contact form on contact page. We’ll provide you with answers as soon as possible. Everyone would love to have a lawn that’s luxurious, good looking, beautiful or amazing. There are many words that can describe a lawn, and if you’re interested in having your guests amazed of the beauty of your interior garden, all you have to do is choose the right type of turf and the right combination of flowers. We’re going to talk today about how to choose the right type of turf for your lawn, so let’s see what you have to take into consideration when selecting it. These types of lawns are those that you see perfectly manicured or better said – the formal gardens where the front area of the garden is perfectly kept. If you want something that gives you an amazing result, you’ll need Jubilee Turf – it is very beautiful, and with a little more care from you, it will give you a great looking lawn. The turf that can be used for such a garden is called Garden Turf, and it has plenty of resilience to both the sun and traffic. It will give you an amazing lush green carpet, but it’s also resistant to your children playing or having a picnic in the yard. It’s easy to take care of and it will definitely give you the beauty and practicality that you need for your family and your guests. Don’t forget that in any yard there are some shady areas where the sun doesn’t shine all day long. It’s usually along the fence or in the back of the house, so those are the areas that will definitely need a special turf. Since you don’t want your turf to wither and die, you should choose the Shadesman type of turf. This represents a selection of grasses mixed together that love the shade and will surely thrive in those shadowy areas. You’ll want to have your whole garden green, so this will cover perfectly for those areas where the sun doesn’t reach all day long, giving you an uninterrupted green carpet. In the end, make sure you choose the ideal turf or green grass for your yard, taking into consideration all these aspects. The results will be amazing, and if you want to add more beauty, choose some flowers to add color and perfume to your garden. It’s easy and it’s also easy to take care of. If you want to have a beautiful yard, getting a turf lawn is the best way to achieve it. It’s very easy to do and all you have to do after this is properly maintain it. It’s a sure way to have it for at least a few years. However, if you don’t take good care of it, you’ll have dead turf in your garden, dry yellow patches of withered grass and, of course, a waste of money. Let’s see what you can do to keep your garden looking good for as long as possible. You’ve seen people mowing their lawn, but here’s what you need to remember; if you want your turf to survive a long time, you should keep it without mowing for at least a few weeks after it was laid. The main reason for this is that the turf needs to get proper roots in the soil, and if you mow it before this happens, you might possibly damage the whole garden. Use a mowing machine that’s adjustable to the height, this way you won’t cut the turf too short. You need to know that if you use a small height for cutting the turf, it will dry out and burn, leaving you without any garden at all. The same is valid for mowing it too high. The best height to use when mowing is about 3 inches high, as it will give you a long time between mowing without damaging the turf. Every green plant needs fertilizer, so your turf makes no exception. You should regularly use fertilizers to keep the lawn and the turf looking their best. The summer is the proper time to use a special fertilizer because it’s the time when the plants will absorb more nutrients from the soil. Ask a specialist about what type of fertilizer to use for your variety of turf and you’ll get great results. Don’t forget about properly watering the turf. You’ll need to make a small investment and set up a watering system that works on schedule. It will keep your turf vibrant, healthy and always green. It will also help it grow and absorb the fertilizers that you use, along with preventing it from drying from the sun or the heat. However, don’t use too much water, as you can damage the roots – they will decay and this can mean certain death for the turf. Depending on the area you live in, you certainly have different rules for pest control. Find out what pests are common in your area and make sure you treat your lawn accordingly. It will save you a lot of headache later, even if some species of turf are more resistant to some pests. Use the right pesticides, but ask a professional about this, especially if you have animals (dogs or cats) or children that play there. Vice Roy Turf Info. All Rights Reserved.